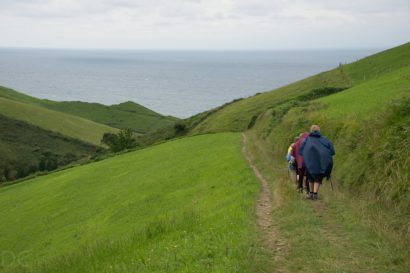 Coastal & Mountain Hikes, Fabulous Food, Bilbao & San Sebastian, The Camino de Santiago, Gorgeous villages, Basque Culture, Wonderful places to stay. 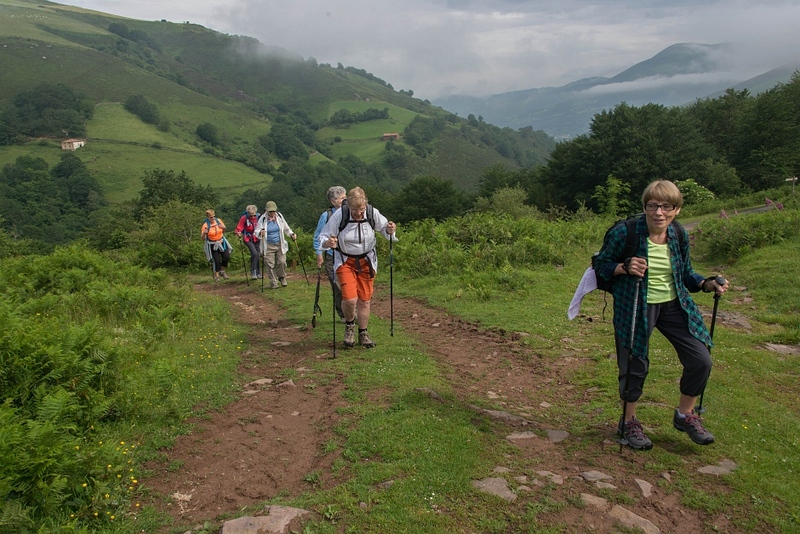 The Basque country has it all! Wonderful hikes along the coast and up in the Basque Pyrenees. 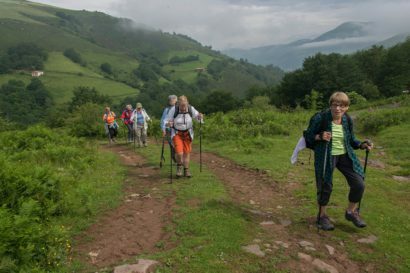 A unique, ancient culture, charming villages nestling among forested hills, fishing villages and the cities of Bilbao and San Sebastian with their great museums and Pintxo (tapa) bars. 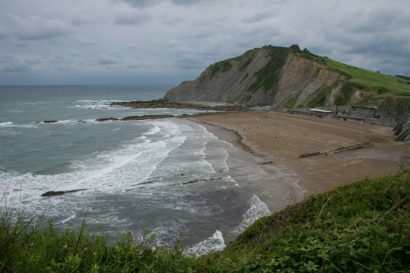 Basque cuisine is fabulous and you can choose to eat in Michelin starred restaurants, homely restaurants or we sometimes buy the amazing local fish and produce and prepare great dinners at some of the Casa Rurales (country hotel) we stay at. To Richard. Through wind and rain and rough terrain you always brought us back To where we ate, drank wine and, then exhausted, hit the sack! ´´It´s just ahead. It´s not too bad´´ We heard more than one time. So sticks in hand, we´d all commence Our often trying climb The view was always worth it Making us all glad we came But leaving you behind us……….. Well, it just won´t be the same. We´ll miss your charming self, of course And your delicious meals But you, too, miss your family So you know how it feels We thank you Richard for your very kind consideration. Now please say that you´ll visit Should you travel to our nation.